Time is running out for not for profit organisations to apply to become The Mall Blackburn’s Charity of the Year! The deadline is just over three weeks away and departing charity, Theo’s Warriors, is urging people to apply following a record 12-month partnership with the shopping centre. Over £7000 has been raised from activities including bucket collections, proceeds from children’s events and a daring sky dive! Janet Cottam, who is a Trustee for Theo’s Warriors, said: “We have really enjoyed working with everyone at The Mall Blackburn for the last 12-months and their support has been invaluable. Loraine Jones, General Manager at The Mall Blackburn, said: “We have already had some very worthy charities applying to become our beneficiary for 2019, but we are always looking for more! “It has been wonderful to work with everyone at Theo’s Warriors and I am delighted we have been able to help them support children and their families in Lancashire. 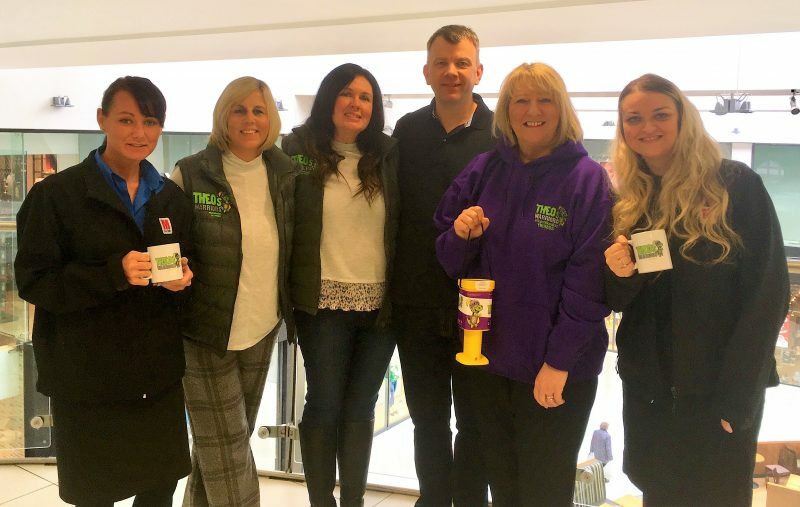 Cash for Kids, Lancashire Mind, Nightsafe, Blackburn Youth Zone, Inbetweenears and East Lancashire Hospice have all previously been supported through the ‘Charity of the Year’ initiative as part of the Mall Cares programme. Charities that would like to be considered should complete the online application at https://www.themall.co.uk/blackburn/whats-hot/2019/the-mall-charity-of-the-year-2019-applications-open/ to outline how they would make the most of the partnership and what ideas they have to raise funds and awareness within the shopping centre. The closing date is midnight on Thursday 28th February and the partnership will start in March 2018.